A family in the process of being healed and transformed. Abandoned Children’s Fund makes a genuine effort to keep our mission focused on the distinct suffering that abandoned children endure in the world. There are sadly an abundance of forms of desperation that a caring person can become sensitive to. Charitable people consider, ponder and occasionally embrace a certain kind of sorrow and then ask themselves, “how can I lend a hand to alleviate that pain?” Child abandonment happens to be our sphere of concern, therefore it frequently brings us into contact with many heart breaking and even disturbing facts and circumstances. Abandoning a child is usually not a casual decision, made in a vacuum; there are usually layers of tragedy that precede the final act. But on the bright side it also gives us a front row seat on the dramatic rescue and healing of a number of wonderful children and families. Usually, if the actual act of abandonment involves both parents, it is permanent and we are working with our partners ‘after the fact’ to pick up the pieces and redeem what would be a catastrophe for the child if not interrupted. In most cases, where just one parent abandons the family, it is usually the father. It’s less common when we see an example of the mother abandoning the family. This story takes place in one of the most family ravaged parts of the world, right on the geographic doorstep of our own country, in the misery adorned city of Juarez. It is one of those moving and yet rewarding stories where it’s the father of six young children who is abandoned and left to raise them on his own. Thanks to your donations and support, Miriam, Melissa, Maritza, Blanca, Michelle, their brother Eleazar, and their father all found hope this past year with our project partner in Juarez. Sadly for these six children their mother paid no attention to them. Their father went searching from one construction job to the next while the mother spent the day watching television, leaving the children to roam the streets alone. One day, police found the children unattended in the streets, and the authorities threatened to take the children away if they were caught alone again. Later that year in 2012, the mother left the family with no plans of ever returning. Without trying to excuse anyone the weight of the burden of living in profound poverty and hopelessness, just becomes too much for some to bere and they give up trying. In this case after mother left, the father picked up as best he could and went on in anxious desperation and struggled to support the six young children alone. He himself was illiterate, since he was never able to graduate from elementary school because his parents forced him to abandon his education (a boy of only 10 years old) to help support the family by working in the fields. 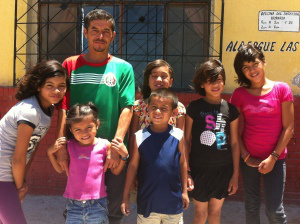 It was a full year after his wife left him, when he was exhausted, desperate for help (with his six children behind him, dirty and scared) running on fumes that he finally found the Children’s Home in Juarez. When the children arrived in the Home they were all significantly behind in school and displayed major behavioral issues. Michelle and Eleazar could not read nor write even their first names, and could neither count to ten. None of the children had birth certificates, and Eleazar told the staff his name was “Angel” and he would constantly run away, hide, and act out violently. 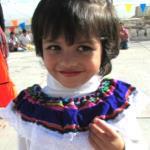 Maritza began school in the Home by ripping up all of her schoolbooks. The one word she could barely write was her first name. Blanca was only able to write copying something else already written. Melissa also came rejecting everyone and would scream and become violent. The oldest Miriam could not read aloud and would take all day to finish her work, turning it in only when no one was looking. Love finds a way. We saw an amazing transformation in each of the children’s lives! Michelle can now write her name and read and has shown up twice on her class’ wall of honor. Her charismatic personality has come shining through, and she has discovered a love for dancing and singing. 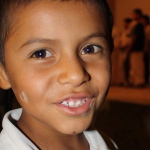 Eleazar now not only knows his name but also can write it, and he has fallen in love with anything related to math. He’ll now run to you to receive a hug. Maritza has also embraced school, loving to add and multiply from memory. She has nearly mastered the entire alphabet as she learns to write. As she continues to heal, Melissa has also reached the top in her class in mathematics. 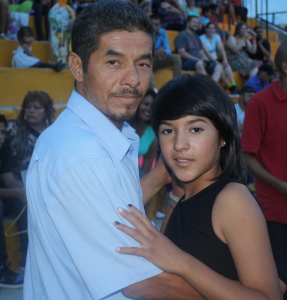 Blanca particularly likes school, loving to complete all of her homework and making a great effort to learn quickly. As much as we wish it were not so at Abandoned Children’s Fund we realize it’s not always possible to see a family being repaired and restored in this way. Many children start over in new families or learn to find joy and belonging in the context of the Children’s Home but in this story the determination of a father to keep going, eventually led to an oasis for him and his family in the desert of abandonment.